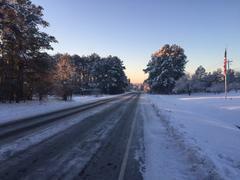 Sheriff Neil Godfrey - Moore County Road condition update as of 8:00 am January 18th, 2018. 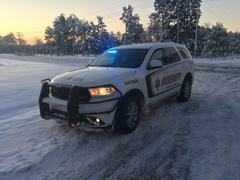 Freezing temperatures have made Moore County Roads treacherous and conditions are not expected to improve until this afternoon. Road surfaces are icy making driving on ice chunks similar to driving over rocks. 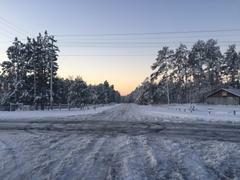 Primary Roads are slick, Secondary and Tertiary Roads almost impassable without 4-wheel drive. 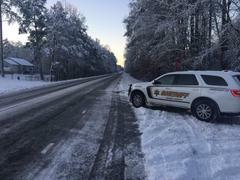 North Bound Highway US 1 coming into Pinebluff is currently closed due to semi-trucks being unable to negotiate the slope. Citizens are reminded that if they don’t have to be on the Road, to please remain at home. All Moore County Offices are closed, to include Court and the Animal Shelter. Sheriff’s Office and Law Enforcement will remain available around the clock.